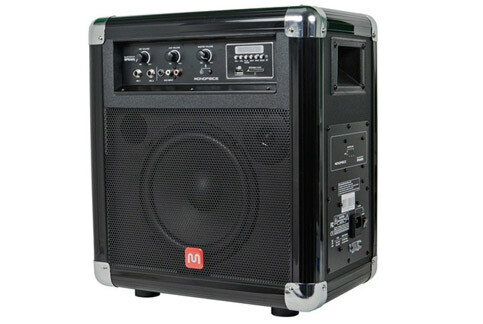 Take the party outside with this powerful and portable 50 watt Bluetooth party speaker. Powered using either an AC power connection or a built-in rechargeable battery. When used under battery power, the amp can output up to 18 watts. 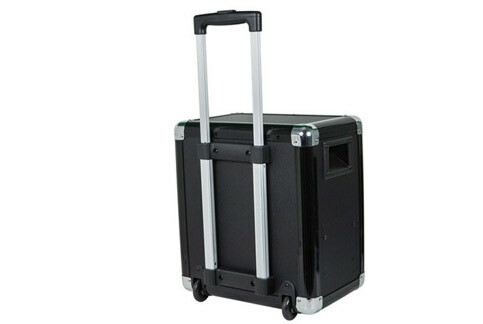 Featuring a 50 watt built-in amplifier, 8" woofer and 1/2" dome tweeter with a frequency response of 20 Hz ~ 20 KHz (-3dB), this portable speaker system is powerful enough to use as a dedicated PA system, music source or loudspeaker for just about any occasion. Control the speaker output level using the Master volume knob and fine tune the volume levels of the mic and aux (line-level / Bluetooth ) inputs using the additional MIC and AUX volume control knobs. 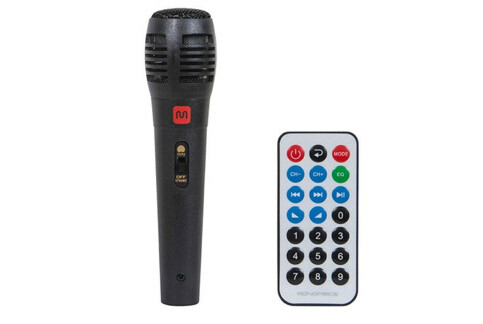 *Includes one microphone and a remote control, which controls volume levels and mp3 playback and navigation. I wouldn't consider this as "waterproof". Don't know haven't got it wet yet. I would guess it would withstand some splash, but I wouldn't think it to be considered "water proof". I wouldn't consider this, or anything along these lines as "waterproof" unless specifically stated in the manufacturer's specs. We only connect one...not sure if u could connect 2 speakers. 1 speaker is good good.enough for us outdoor watching movies. Am I able to pug this directly into a 1080 HD projector for backyard movies? The Projector does not have Bluetooth. I think enough audio from the Projector for 75 people is a push. The Projector has audio out so you can add additional speakers. I have a Epson PowerLite Home Cinema 500 Silver Edition SVGA 2600 Lumens HDMI Projector. It has a very weak built in speaker. Can I use this speaker with it and if so how do I connect them together. 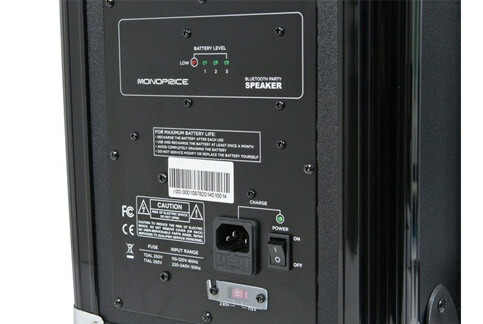 Usually, we recommend running your sound cables directly from your source (DVD player or cable/satellite box) right to the speaker, and the video to the projector. However, the other posted answer would work as well. You can use the RCA red and white audio plugs to connect them. The yellow plug is video. Amazon sells the cords at all lengths for around $5. It's really very easy. I hope this helps you. How would you connect this speaker to the Optima HD26? 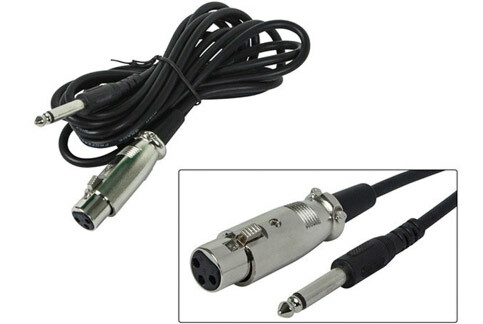 A 3.5 mm aux cord. Plug it into the green Audio Out outlet on the projector and then into the outlet on the speaker. Take the mini pin 3.5mm audio out of the HD26 into this speaker system. I recently bought a cheap projector for outside use. Will this work with my projector? Will it be loud enough? Can I attach other speakers to this box? I am really happy with the quality of this speaker system. It's easy to use and has good sound. It should be loud enough for outside but you can't attach other speakers to this one.